The need for action on sustainable transport has never been more apparent than it is today. The world’s population is expected to reach a whopping 9.8 billion people by 2050, with about 70 percent of these people residing in cities. Meanwhile, greenhouse gas (GHG) emissions are on the rise. Transportation contributes 13 percent of global emissions, spurring climate change and creating dangerous air pollution. Sustainable transport—like public transport systems, bicycling lanes, and walking—has the capacity to save lives, reduce energy use and GHG emissions, facilitate access to goods and services that support sustainable development, and enhance the overall quality of life in cities. While the need for sustainable transport has long been accepted in some parts of the world, it is now gaining momentum globally. Cities, which are so important to the global economy, play a key role. Multi-lateral development banks (MDBs) signaled a paradigm shift when they committed $175 billion for sustainable transport over 10 years at the Rio+20 summit this past June. While the funding comes from resources already allocated for development, this commitment represents the first time that MDBs have earmarked dollars of this magnitude for sustainable transport. This financial commitment can help leverage the impact of investments in transport infrastructure, which already account for more than $1 trillion a year globally. It can also support work at the national level, as well as cities’ historic leadership on transportation. We are now presented with a chance to truly embrace sustainable transport at the local, national, and international levels. It’s imperative that we capitalize on the opportunity presented by this unprecedented alignment of wills. Cities have historically taken the lead on sustainable transportation and environmental initiatives. Take New York City: While America has struggled to effectively address climate change, Mayor Bloomberg’s PlaNYC 2030 initiative has achieved reforms to measure and boost New Yorkers’ health, make streets safer, reduce GHG emissions, and improve the environment. The transition of New York’s iconic Times Square to a pedestrian-friendly entertainment and commerce center will inspire other cities across the world to embrace sustainable transport. WRI’s EMBARQ Center for Sustainable Transport and the World Bank—in cooperation with partners at the Asian Development Bank, Clean Air Asia, the Institute for Transportation and Development Policy, and the Inter-American Development Bank—are hosting the 10th annual “Transforming Transportation” event this week, January 17-18, at the World Bank headquarters in Washington, D.C. The annual event looks at the various ways to scale up sustainable transport solutions and share lessons learned. The theme of this year’s event is “Big Opportunities.” Throughout various panels and plenary sessions, we’ll discuss a variety of topics, including: improving health and safety in cities; capitalizing on the multilateral development banks’ $175 billion commitment for sustainable transport; integrating urban transport and development; fulfilling the U.N. Decade of Action for Road Safety commitments; national transport finance programs; opportunities for sustainable transport in China, India, and Latin America; and more. GET INVOLVED: Follow WRI Insights, EMBARQ’s TheCityFix blog, and @EMBARQnetwork on Twitter (hashtag #TTDC) for continued coverage of this event. You can also watch key sessions online. Mexico City has also made remarkable achievements over the last year, like adding a bus rapid transit (BRT) line, expanding its public bike-sharing system, and implementing a parking system in a busy area. Meanwhile, Rio de Janeiro is implementing a 150 km network of BRT corridors, doubling the size of its bicycle share system, and opening new green spaces that encourage sustainable urban living in advance of the 2014 World Cup and 2016 Olympics. Just this week, Mexico City’s former mayor, Marcelo Ebrard, received the Sustainable Transport Award for his leadership, along with Eduardo Paes, Rio’s mayor. It is appropriate for mayors and city administrators to lead on sustainable transport, as they understand the unique economic, social, and political issues that impact each urban environment. Cities should continue to spearhead sustainable transport projects, even if they are funded with national and international dollars. Determining how to effectively leverage national and international investments without hampering local initiatives is a key challenge to capitalizing on the big opportunities before us. In the face of increased motorization and urbanization, it’s also vital that more cities implement sustainable transport to achieve a vision of streets for people—not roads for cars. In the recent years, several new national policies have been shaped, channeling substantial investments into sustainable transportation in growing urban areas. National governments have started to show an interest in sustainable transport because it helps their own bottom line—transportation is key to achieving national targets on GHG emissions and addressing climate change. Mexico, for example, recognized sustainable transport in its 2012 climate change legislation, which calls for an emissions-reduction target of 30 percent by 2020 and 50 percent by 2050. India is another example. The JnNURM II program will channel $40 billion into urban development projects over the next five years. And in Brazil, phase II of the Growth Acceleration Program is poised to invest an estimated $526 billion from 2011-2014 into urban infrastructure, energy, and transportation ahead of the 2014 World Cup and 2016 Olympic Games. National policies are important, but they must support city initiatives—not operate in a separate work stream. Given the very local nature of transportation and the knowledge cities possess, urban communities should be the ones to implement sustainable transport improvements. National governments should also empower cities with greater legal and fiscal authority, allowing them to serve as engines of economic growth and quality of life. The commitment from eight MDBs to invest $175 billion into sustainable transport over the next 10 years is not the only global transportation commitment. The U.N. Decade of Action on Road Safety from 2011-2021 and the promise of the implementation of Sustainable Development Goals also place greater emphasis on the human benefits of sustainable transport. This international attention is encouraging, but the money must be spent on the right kinds of projects. The banks’ commitments should support significant expansion of lending for urban transport, mass rapid transit, and land use integration—and significantly reduce lending for road-building. The Sustainable Transport Initiative launched by the Asian Development Bank in 2008 is a good starting point to frame this shift in resources. 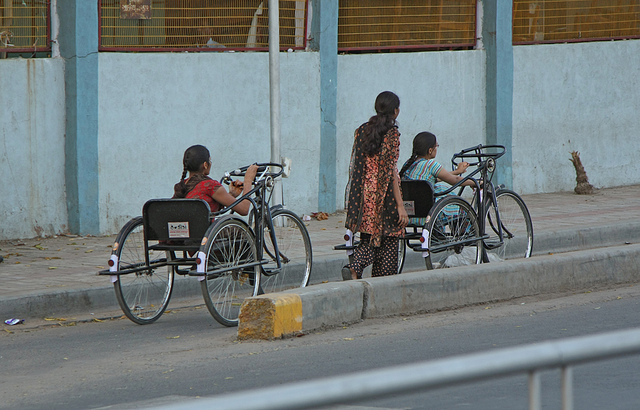 Because MDBs’ clients are national governments and local authorities, development banks also play an important role in incentivizing states and cities to choose sustainable transport options. This could mean offering lower interest rates for sustainable projects, easier and quicker access to funding, and direct access to funds for local governments. A promising idea would be to blend the MDBs’ funding with climate finance through a Low Carbon + Sustainable Transport Facility. This strategy could promote the implementation of sustainable transport under the UNFCCC and provide the Sustainable Development Goals’ action plan on sustainable transport with the finance it needs. How we deal with transportation today will impact the way the world’s cities operate in the future—including their environmental footprints and how they impact citizens’ health, mobility, and quality of life. We can’t afford to blow the three big opportunities before us. It’s important that local, national, and international investments work in tandem to transform transportation. LEARN MORE: Visit the Transforming Transportation website.